Pennsylvania offers four options for legally ending your marriage. One is rarely used, because it requires that your spouse be institutionalized in a mental hospital. You can file on fault grounds, and if you do, you must prove to the court that one spouse is to blame for the divorce. You can wait out a two-year separation period and file for a no-fault divorce, or you and your spouse can mutually agree to the divorce and file an affidavit, attesting to this. If you elect this option, you can be divorced in 90 days if you submit a signed and notarized settlement agreement to the court. Pennsylvania recognizes two types of settlement documents: marital agreements and property agreements. The latter only deals with financial issues. If you have children, you'll need a comprehensive marital agreement. Both agreements are enforceable as contracts, but they don't grant you a divorce. You can only be officially divorced when you file a petition to end your marriage, then resolve property and custody issues either by trial or agreement. 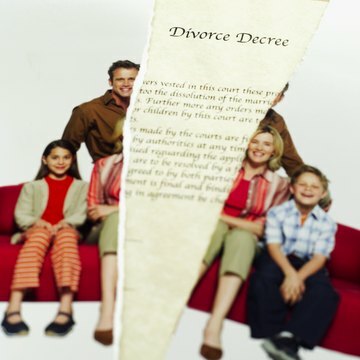 When you submit an agreement to the court, a judge incorporates its terms into a divorce decree.